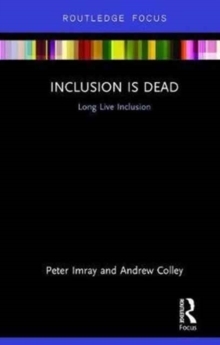 Inclusion is Dead is a provocative polemic against the widely held notion that inclusion for all children and young people with SEN is both possible and desirable. 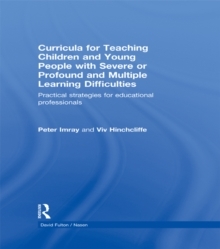 For those with severe learning difficulties (SLD) and profound and multiple learning difficulties (PMLD), the authors argue, it is neither. 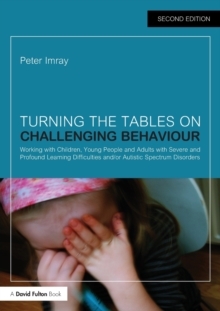 Imray and Colley assert that the dominance of inclusion has meant that there has been no serious attempt to look at the educational difficulties faced by learners with PMLD and SLD. As a vision of egalitarianism and equality for all, they say, inclusion is dead. The authors controversially believe that unless education changes, it will remain as a disabling institution that does the exact opposite of its intention. 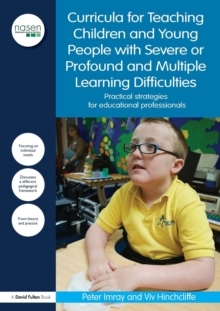 The book presents the argument that theorists of inclusion have failed to provide practical solutions on how inclusion can be achieved when SLD and PMLD learners are involved, as well as discussing the drawbacks of the `inclusion for all argument'. With up-to-date references throughout, Inclusion is Dead will be an insightful read for teachers and SENCO trainers, as well as postgraduates and undergraduates studying courses on politics, philosophy and society.